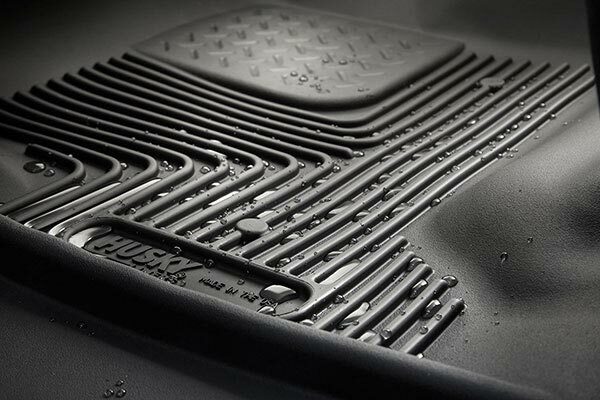 Husky Liners 53801 - Husky Liners X-act Contour Floor Liners - FREE SHIPPING! Fantastic quality, excellent fit and just what I needed. 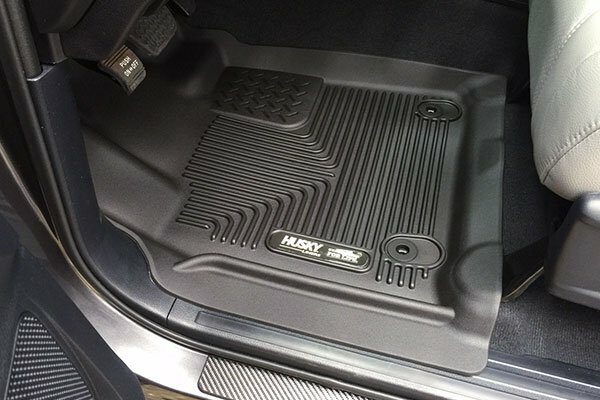 We love this Husky Liners X-act Contour for our 2012 Toyota Tacoma double cab. We also purchased back liners. It fits perfect and the coverage was superb! Will purchase again for any of our future vehicles. 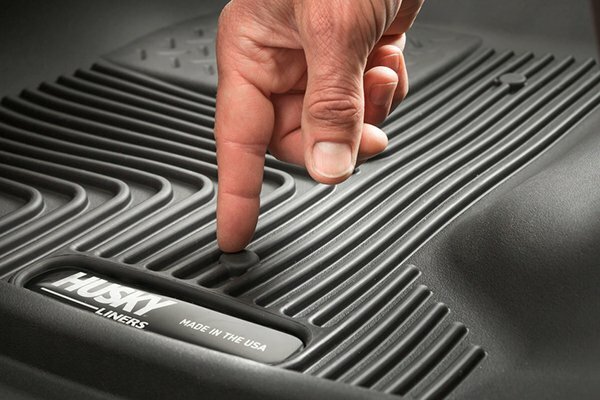 Great mats, fit perfectly and easy to install. I have been waiting a few years to start buying accessories for my Toyota Tacoma and I'm really sorry that I waited so long to get these. I got them right before the snow this year and the amount of water, sand and salt they have collected over the last week from my boots is amazing! 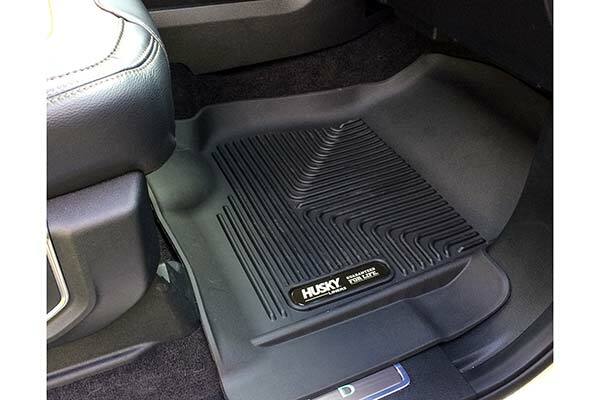 Originally I wanted and expected a flexible rubber floormat. When I pulled them out of the box, they were a stiffer material than I was hoping for. A little leary, I went ahead and installed them. They were very easy to install in a matter of seconds. They are a perfect fit, look awesome, and don't move at all. Like someone commented, it's nice how they overlap the doorframe. 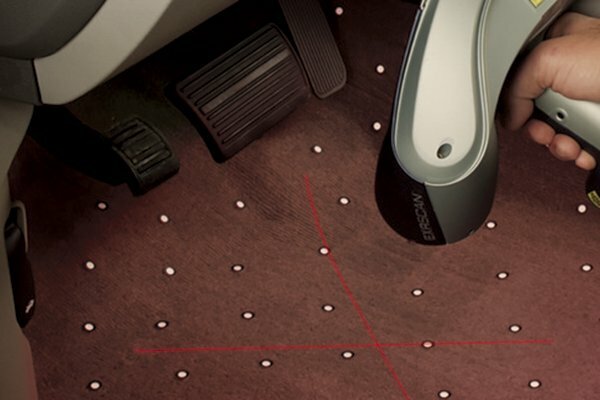 They are the best fitting floormat I've seen and used, including Weathertech. Received these quickly and they fit perfectly. 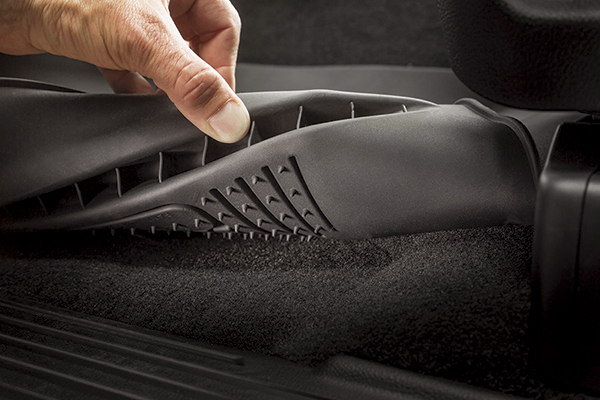 They are heavy, pliable rubber and don't move around at all once installed. I've only had them for a short time so to early to rate how they will do once the snow flies. However with how well they fit, I don't see any problems in the area. I could not be more pleased with this purchase. Amazing fit and look. These liners look like they will last forever! Love the Husky Liners. Look good and clean up easily. I would have like the edges to be a tad-bit more vertical. They have already paid for themselves with a spill in the back seat. Highly recommend! After reviewing different liners and reading customer reviews, I decided on these liners for my 2017 Tacoma. I could not be happier with this purchase and the way they fit. 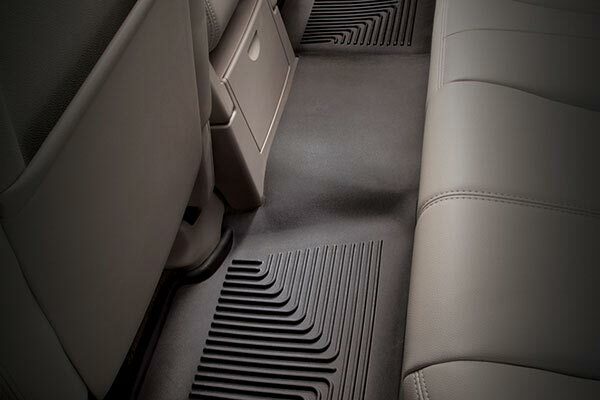 It was very important to me that they reach up high enough in the front so my shoes/Boots don't touch the carpet underneath, these are designed to cover all areas great! A++ Husky X-zat Contours are well worth the money! 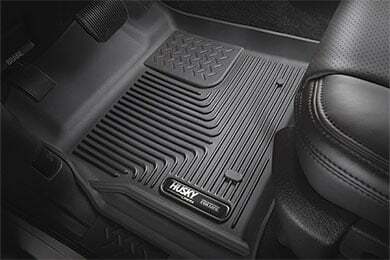 These fit way better than the stock OEM floor mats. 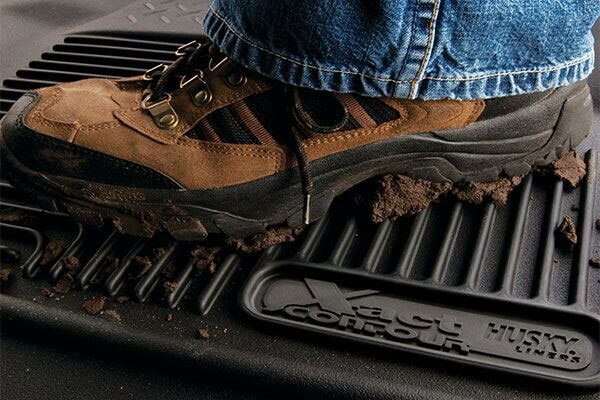 I've also had the weathertechs on a 2nd gen Tacoma that were nice but didn't fit as well as these do. They're expensive but worth it for those in muddy and wet environments. 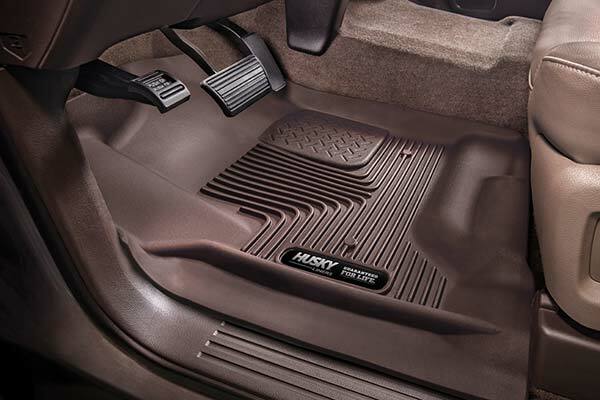 Definitely much better than the stock weather mats provided by Toyota. Heavier material, better coverage. Winter and rain no problem now. 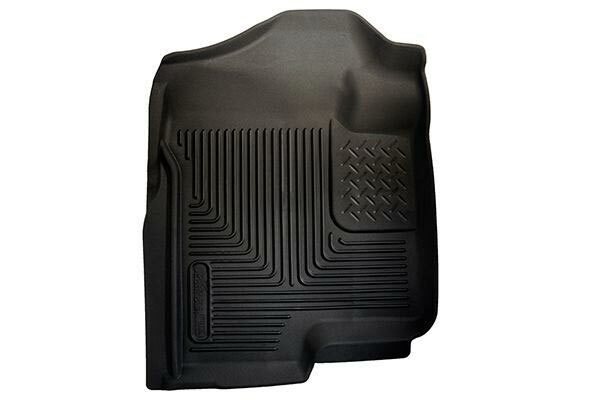 These floor liners are well made and provide much better coverage than the OEM mats. I've used the other popular brand of these type of floor liners in other vehicles with good results; however, after doing some research, the Husky Liners X-act Contour liners appeared to be a superior product. I was not disappointed. Perfect fit, heavy duty thick but not too bulky. This product is a home run. Look at the top name's and after asking friends and read countless reviews, I selected Husky Liners. And can beat the autoanything price! The fit was perfect and they are very high quality. The mats are a little pricey but worth it. These matts are well made. I have used these in my vehicles for years. Good value. Excellent fit, easy to install, well buillt and sturdy. Easy to clean,blogs them. Well made and perfect fit. Easy ordering and fast shipping. Really impressed. Never listen to anyone who says America can't compete in manufacturing. It's nonsense and this product proves it. And a lifetime warranty to go with it. And I love the rubbery feel. I bought another set for my son's truck I was so impressed. And the gearbox is the nuts! Absolutely awesome!! Must have! These liners fit perfectly on my 2017 Tacoma! As someone who has formerly owned weatrtech liners, i am very pleased with these xact linets. I prefer the material of the Huskys as they are thicker and rubbery. the weathertechs are thinner and plastic feeling. I think the fit is better on the Husky liners too. I will definitely buy these again! Reference # 765-034-022 © 2000-2019 AutoAnything, Inc.